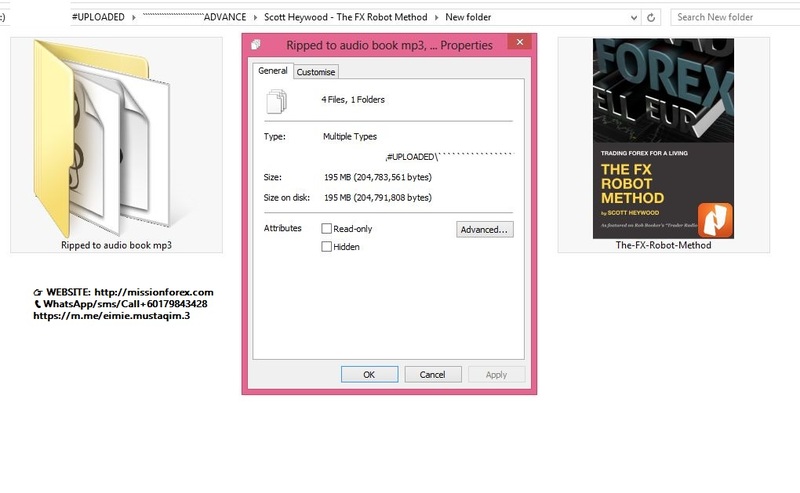 The FX Robot Method describes the foundation of Scott Heywood’s trading system, which has been covered on Rob Booker’s Trader Radio. Scott’s system is underpinned by his robot Plutus, which in turn is based on Rob Booker’s Finch robot. Scott runs the system and directs the robot based on strict criteria which contain his risk and deliver regular and consistent profits. Originally based on questions from the audience of Rob Booker’s initial podcast interview, Scott set about documenting the history of his process, focussing on how ‘robots’, as they are known in the industry, support day-to-day forex trading. For the beginner, the prospect of the robot and system complexities can be daunting. In the book, Scott (who was a complete novice to forex trading three years ago) unravels in plain english with minimal industry jargon, how he came to understand the markets and the underlying tenets allowing him to make money consistently. In fact he made profits so consistently, he completely replaced the income from his day job – leaving to trade forex full time for a living in May 2016. If someone told you they had uncovered a 300 year old secret that had the potential to bring great wealth, would you listen? Candlestick charts are said to have been developed in the 18th century by legendary Japanese rice trader Homma Munehisa. The charts gave Homma and others an overview of open, high, low, and close market prices over a certain period. This style of charting is very popular due to the level of ease in reading and understanding the graphs. Since the 17th century, there has been a lot of effort to relate chart patterns to the ldata points instead of one. The Japanese rice traders also found that the resulting charts would provide a fairly reliable tool to predict future demand. - Our CPI indicator recognize 25+ candlesticks patters. Strong Reversal patterns, Weak Reversal patters, Continuation of a trend patterns! -NEW - With v1.5 you can now choose what patterns you want to see on chart! So no need to memorize which is strong, weak or continuation pattern anymore. - CPI indicator DOES NOT repaint! Once candle closes forming a pattern arrow NEVER disappear! NOTE: This is not trading system! This is candlestick pattern indicator, one can choose to trade with arrows or not ,it's best to use them as confirmation signals for your trading strategy. It only indicates a higher chance of prices moving in arrow direction! it’s not an indication of anything! Learn To Find The Best Trades The Market Has To Offer! telling you, and you can’t go wrong. So what is included in package? Q: What patterns does CPI indicator recognize? Q: WOW! Is this holy grail indicator!?! So I open trades when arrows appear, if arrow is green I BUY if arrow is red I SELL? it just indicates a higher chance of prices moving in direction of an arrow! Q: So how can I trade with this indicator? A: Use it as confirmation, for example use it as reversal confirmation(strong reversal patterns) near major support/resistance areas, bollinger Bands , pivot lines etc. Q: Does indicator work on any time frame? A: Yes! Time frame doesn't matter, if candlestick patterns form CPI will show you. Q: Does it have Alert sound or/and E-Mail alert when pattern is formed? Q: Can I change arrow colors and size? Textbook Trading by Investors Live BONUS "Trading Price Action"